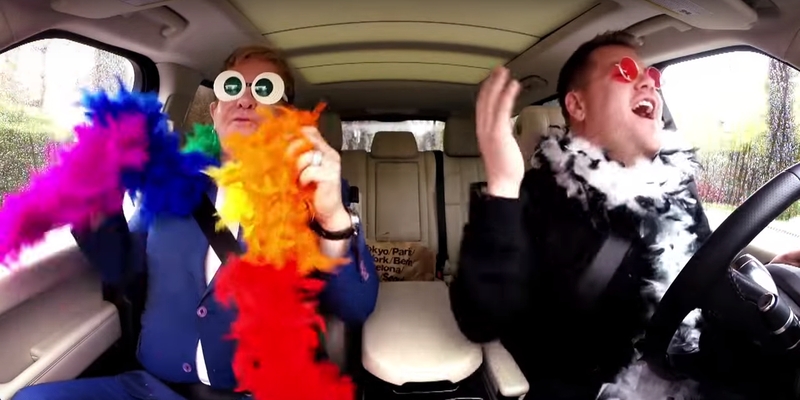 James Corden’s latest guest made it a crooning session for the ages. After featuring Adele and Coldplay’s Chris Martin in the Carpool Karaoke passenger seat, James Corden drove a living legend around for his post-Super Bowl special. Elton John sang some of his biggest hits for the Late Late Show host, and along the way, he discussed knowing he had something special with “Your Song”; why he dressed flamboyantly on-stage (before donning costumes to sing “Crocodile Rock”); and the younger artists who inspired him to make music today. John also revealed that he has four copies of every CD he owns—one for each house—and that doesn’t carry a phone, something that baffled Corden. At least he has an iPad. Whew.